State Honored Artist and opera singer Ariunbaatar Ganbaatar appointed as Culture Ambassador of Mongolia and Speaker of the Parliament Z.Ennbold handed the certificate. Speaker of the Parliament Z.Ennbold stated that I am proud of talented Mongolian guys who are raising Mongolian`s reputation on international arena. Further he emphasized that the importance of supporting their proposals and initiatives to promote Mongolia in abroad and develop cultural relations. 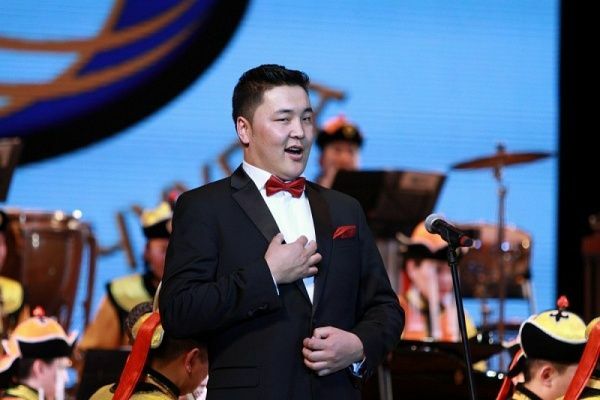 State Honored Artist and opera singer G.Ariunbaatar will cooperate with the Ministry of Foreign Affairs to develop and expand cultural relations with foreign countries as well as actively promote Mongolia to abroad during his act as the Culture Ambassador for Mongolia.